Gregory D. Hoover, 50, of Lancaster, died unexpectedly Monday, April 16, 2012 at Lancaster Regional Medical Center. Born in Lancaster, he was the son of Ralph K. and Elizabeth J. Hartstein Hoover of Lancaster. Gregory was a pipe fitter and had been employed by Pro Tech. He was a 1980 graduate of J. P. McCaskey High School and a member of the Pearl Street United Methodist Church. He was a member of the 8th Ward Club, the Active Club and the Alert Club. He enjoyed hunting, fishing and following Penn State Sports. Surviving besides his parents is a daughter, Katherine Hoover of Spring Hill, FL; two grandchildren Sophia and Chloe Elizabeth Hoover; a brother, Eric E. husband of Angela J. Hoover of Lancaster; a sister, Anne L. wife of James R. Ford of Rising Sun, MD; and two nephews and one niece. 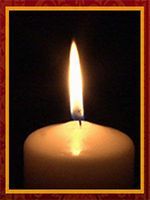 A Funeral Service will be held on Thursday, April 19, 2012 at 7:30 P.M. at the Kearney A. Snyder Funeral Home, 141 E. Orange St., Lancaster, PA with the Rev. Debra J. Schreiber officiating. Friends may call at the funeral home on Thursday evening from 6:30 P.M. until the time of the service. Interment will be private and held at the convenience of the family. In lieu of flowers, contributions in Mr. Hoover’s memory may be made to the American Diabetes Association, 3544 N. Progress Ave., Harrisburg, PA 17110. Your life ended way too soon! To Greg’s family, we are so sorry for your loss. We are sorry for your loss. Please know that you are all in our thoughts and prayers. We are so sorry to hear the news of Greg. He will be missed. Our thoughts and prayers are with you at this difficult time. May the peace of Our Lord be with you and give you strength. Katie and I wish to express our deepest condolences to you all.You are uppermost in our thoughts and prayers through this very difficult time.